A great atmosphere, great friends, and great laughs always make for a memorable night. And you can get just that at one of Pennsylvania’s many excellent comedy venues. 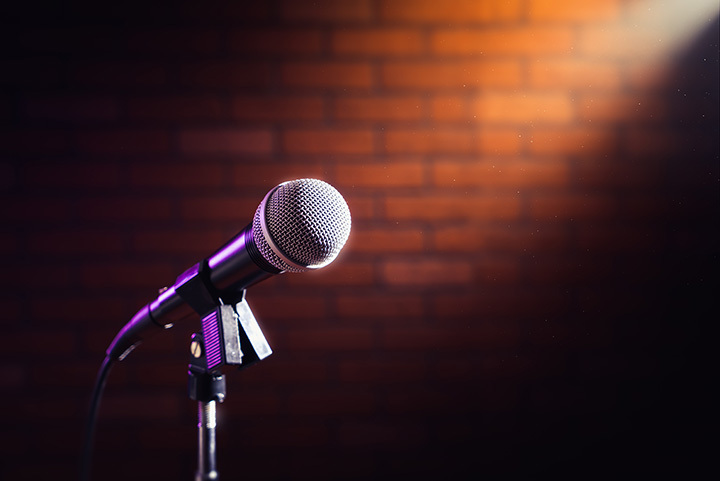 Whether you gravitate to stand-up or improv, open mic or headliners only, the comedy scene in Pennsylvania is ready and waiting to make you chuckle. Here are the 10 best comedy spots in the state! Junior’s attracts some of the biggest names in the comedy biz, including the likes of Pauly Shore and Rob Schneider. With reasonable prices and solid food and drink selections, Junior’s may just be the biggest laugh in all of Erie, as well as the last. This Pittsburgh staple serves up a consistent roster of high quality comedy, with emphasis on improv and sketch. Feeling hilariously inspired? Take a class at Arcade, offered for both children and adults. Philadelphia’s Punch Line offers a diverse assortment of acts (from Rachel Feinstein to Piff the Magic Dragon) in a 300-seat theater, alongside top notch food and beverage. Be prepared for a two-drink minimum and big laughs. The names on Harrisburg Comedy Zone’s schedule may not be household, but they are hilarious. Rising stars, industry mainstays, and family friendly acts round out the comprehensive comedy offerings. If you like improvisational comedy based on audience participation, the Cellar Dwellers is the place for you on Friday Nights. A hilarious show with an audience that feels more like a community, this Rochester riot is well worth a visit. With a solid roster of seriously funny acts, Comedy Cabaret is one of the best stand-bys in Pennsylvania humor. Catch a show or take a class at this Doylestown locale! Stitches has delivered quality laughs to the Lancaster crowd for more than 25 years. Ask about discounted bulk tickets, perfect for yourself or to give as a gift. Another Pennsylvania option for your required dose of short form improv comedy, this Philadelphia gem offers shows every Friday and Saturday night. BYOB, though they’ll provide the laughs. Steel City Improv is one of the best places to see and learn improv comedy in the state. This Pittsburgh location aims to not just teach you to be funny, but how to better handle life through the pillars of improvisation. From headliners to open mic, Helium is well worth a visit for any Philadelphia-based comedy lovers. With a solid food menu, as well as classes in both stand-up and improv, Helium easily earns a spot on our list! View more Pennsylvania Comedy Clubs.